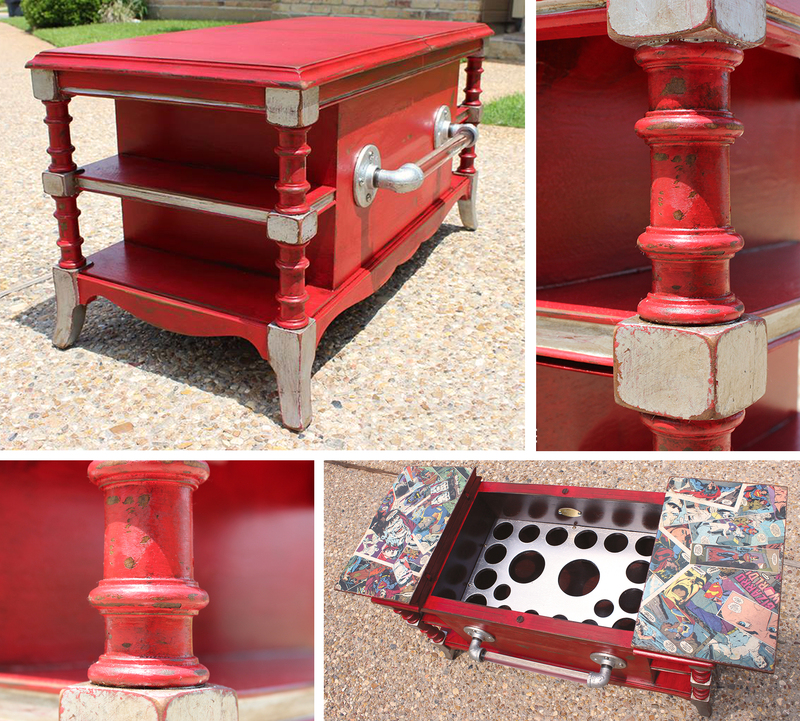 This awesome overhauled open-top bar with comics was finished with Holiday Red Milk Paint by Brian at GadgetSponge.com - Repurposing, Upcycled & Nature! Brian says, "I had the pleasure of using General Finishes "Holiday Red" Milk Paint and Modern Masters Metallic "Silver" Paint." Read more here! http://bit.ly/1cKzBBb Try Argentine Pearl Effects for a similar look! You can find your favorite GF products at Woodcraft, RockIer Woodworking stores or Wood Essence in Canada. You can also use your zip code to find a retailer near you at http://bit.ly/1pEtZMu.